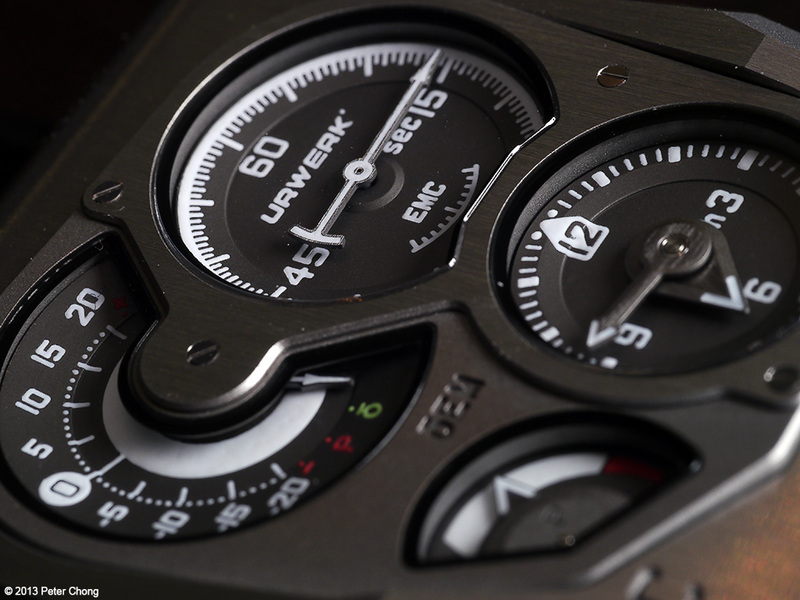 Every once in a whle, the folks at Urwerk unleash their creativity and rock the world with their amazing creations. When the UR103 hit the horology world, it caused tremors still being felt today. As did the UR202, and later the UR1001. Last week, the creative genii of Felix Baumgartner and Martin Frey unveiled their latest creation...the EMC. I was first introduced to the concept of this new piece in Geneva early this year. 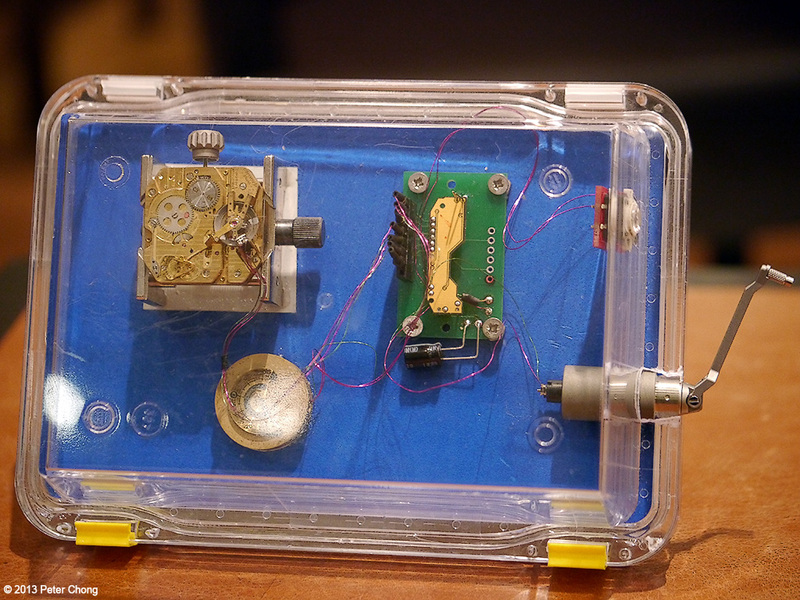 Felix unveiled this perspex box, with a blue board, which contained what seemed to me to be a mechanical movement and a circuit board, much like the box shown above. Conceptually, it was mind blowing...a marriage of the electronic to the mechanical...but in Felix's mind, there was an obvious heirachy. Note the charging arm of the condensator was not replaced properly into the slot within the side of the case during the shoot. Normally it would be snug, with the handle fitting nicely inside the opening. The electronic can and only must serve the mechanical heart. And so the concept of a mechanical timepiece, being watched over by an electronic brain, checking, and reporting on its accuracy, so the owner can perform his own adjustment to the mechanical heart. Shown in the pic, the electronic brain's circuit board behind the slotted bridge, and the mainspring barrel...a double barrel running serially to provide power for the mechanical part of the movement. The circuit on a board, carrying a condenser charged mechanically by moving an arm 5 to 10 times. The circuit carries a light device watching over the hairspring as it beats, and comparing the beat of the hairspring to the electronic heart, and displaying the variance on a gauge on the dial. 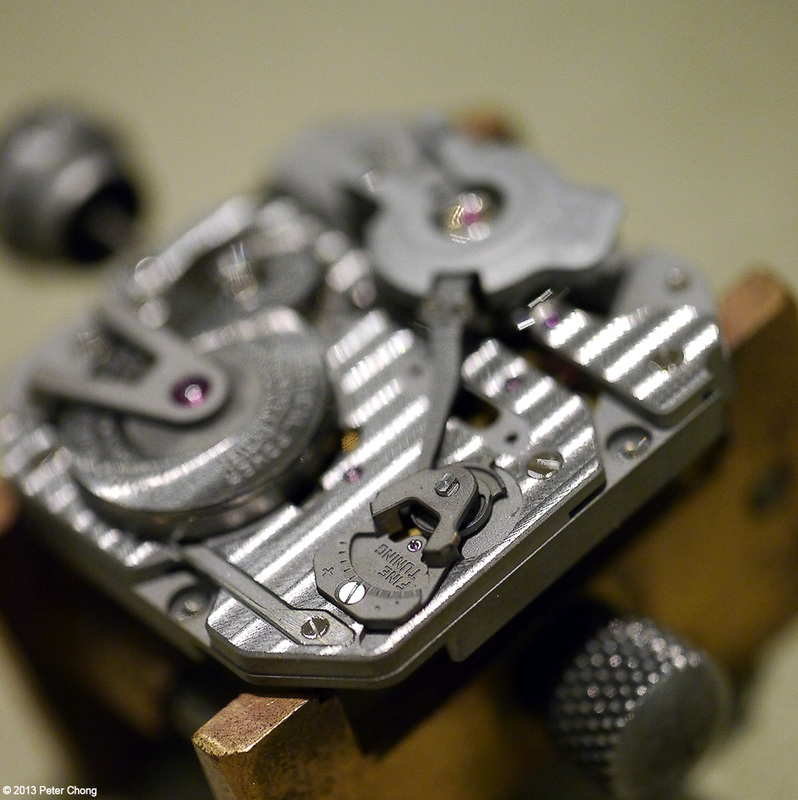 Like a Witschi machine, except more accurate, because the Witschi uses a microphone to pick up the engagement sounds of the escapement, the EMC is optical. The balance is shrouded to protect the optical device used for measurement, so that stray light does not enter the system to confuse the electronics. The challenge was first to miniaturize the circuit and to solve the power supply problem. These are two very common problems engineers have to solve in the electronic world. A special gearing was developed so that each stroke of the arm lever makes 250 revolutions to charge the condensator. If a regular 3032 battery were to be used, it would need to be replaced every few hours. A full charge of the condensator by working the arm 5 to 10 times will provide enough charge to the electronic brain to perform its measurement about 8 times. Conceptually, I find this intelectually very interesting. And to be able to miniaturize this into a package small enough to be on a wristwatch is also amazing. The movement proper, showing the little screw, which is acessable from the back of the case in regular use via a small screw driver through the case back. This screw is used to adjust, in precise increments the needed amount to align the mechanical beat to the electronic brain. 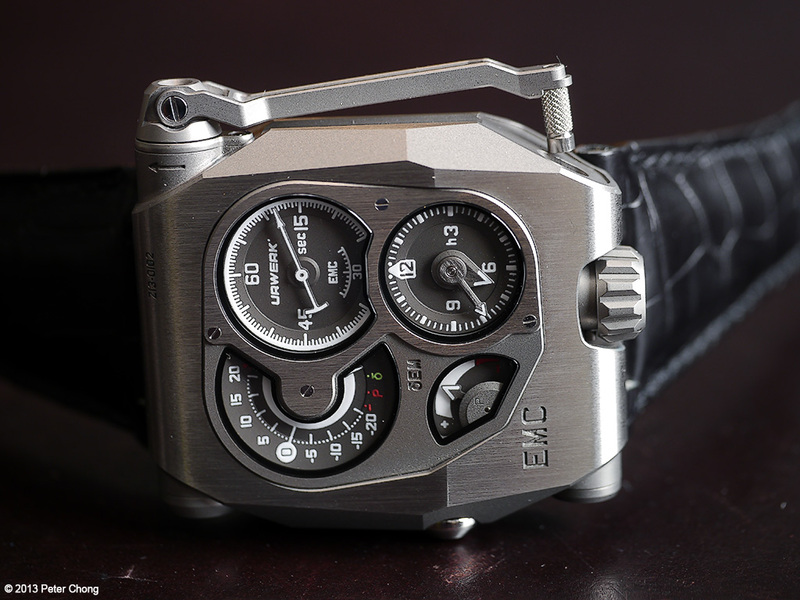 Not content with this electronic development, Urwerk decided also to do their own movement in-house. Earlier Urwerks have been based on the GP calibers which carry the in-house developed satelite system. 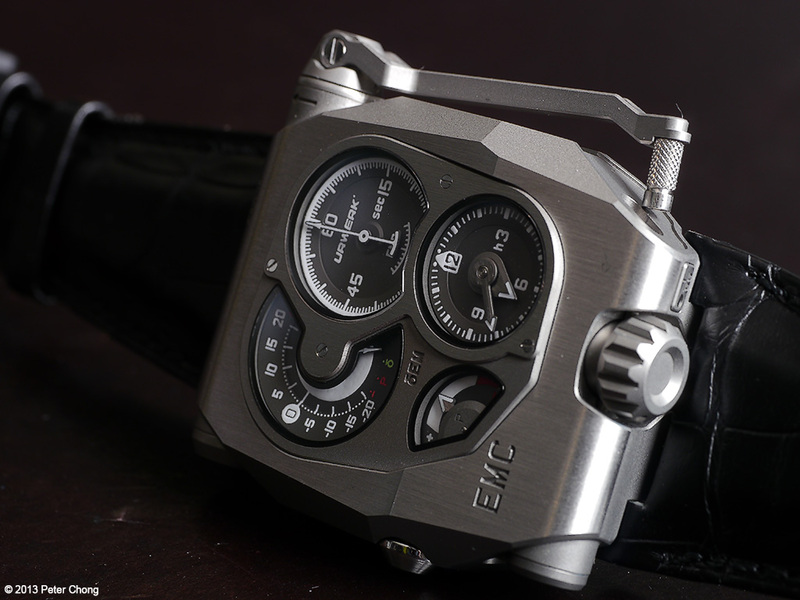 Some trivia on this new EMC movement...this is the first Urwerk to be equipped with a display back showing the entire movement. 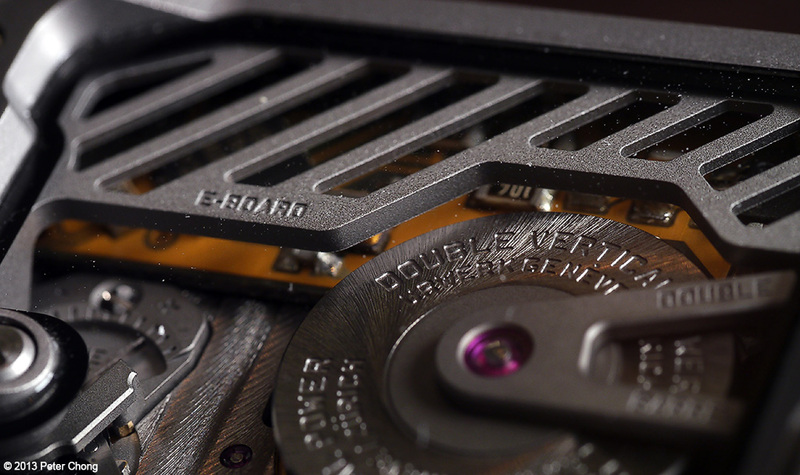 Earlier Urwerks have closed backs, with windows to show parts of the movement. 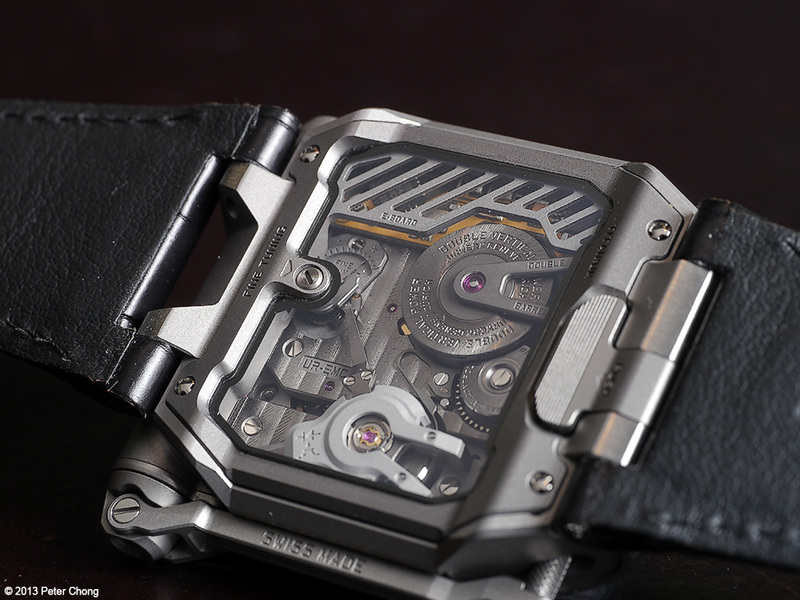 This is also the first Urwerk, other than the one done for Goldpfiel, to have regular hands to indicate the hours, minutes and seconds. 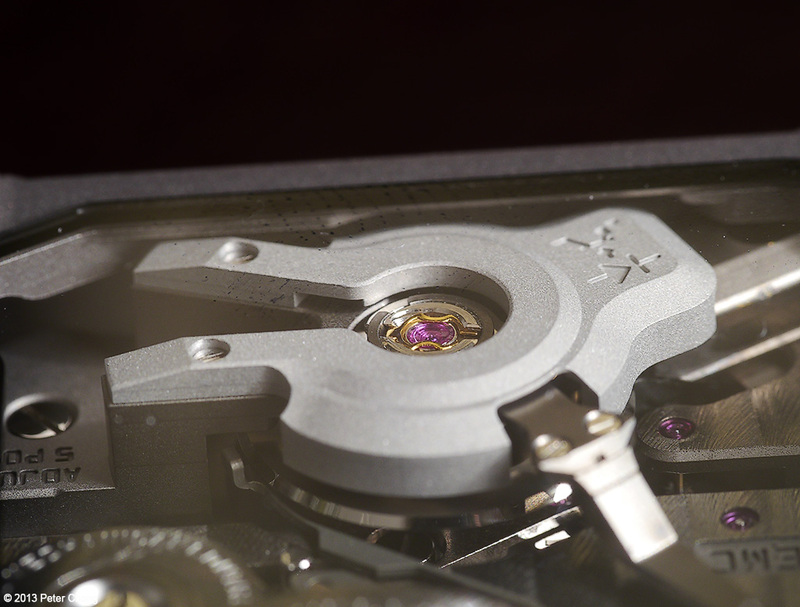 The design of the case and the watch is totally form follows function. The dial at the first quadrant shows the seconds hand. The second quadrant shows the hours and minutes. 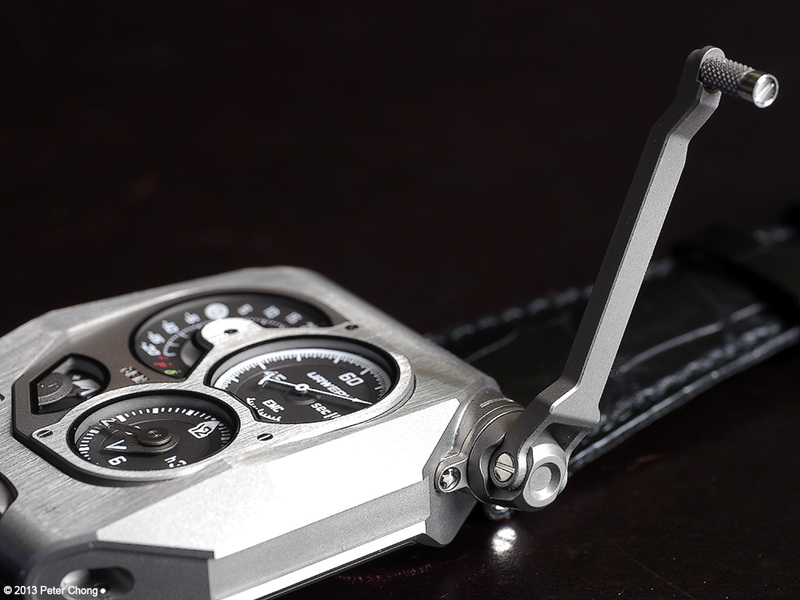 The third quadrant is the power reserve indicator, and the fourth is a large dial showing the beat accuracy in seconds/day of the mechanical heart as compared to the electronic brain. Quite a remarkable watch. Next installment, I will show a few portraits of the remarkable man behind the watch.